Everton start the new English Premier League season under Ronald Koeman on Saturday when Tottenham pay a visit to Goodison Park. 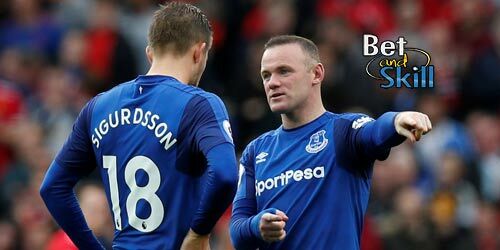 Don't miss our Everton v Tottenham betting preview with predictions, betting tips, probable lineups, team news, best odds, exclusive promotions and no deposit free bets on the Premier League opening day! Everton endured a dreadful season last term, winning just 11 of 38 matches en route to finishing 11th in the Premier League last term under Roberto Martinez, who has been replaced by former Southampton manager Ronald Koeman. Pre-season has seen the Toffees beat Czech side Jablonec, Barnsley, and MK Dons before losing to Dynamo Dresden and drawing with Real Betis and Man UTD. Everton have off-set the departure of John Stones with the shrewd acquisition of Wales skipper, Ashley Williams, from Swansea. Midfielder Muhamed Besic has been ruled out for six months with a knee injury, but Phil Jagielka is set to recover from a hamstring injury in time. There is also concern over the fitness of full-back Seamus Coleman, who has picked up a problem in training. Matthew Pennington and Romelu Lukaku are both doubts and should the Belgian miss out, Gerard Deulofeu is likely to lead the attack, while summer signings Idrissa Gana and Maarten Stekelenburg are expected to start. Tottenham enjoyed a good season last term with their title challenge fading in the final three matchweeks when they also were collared by Arsenal for second spot. Their pre-season campaign so far has seen Spurs suffering defeats at the hands of Juventus and Atletico Madrid. Anyway, they did make amends with a 6-1 thrashing of Inter Milan in their most recent match. Mauricio Pochettino has revealed that Jan Vertonghen could start alongside his compatriot Toby Alderweireld at the heart of defense. Mousa Dembele misses the opening four games of the season through suspension, while Heung-min Son is with the South Korea national team at the Olympics. New signing Victor Wanyama could make competitive debut for the club while Vincent Janssen will sit on the bench. Both of last season's matches between Everton and Spurs ended in low-scoring stalemates with the most recent clash finishing 1-1 at Goodison Park. "Everton v Tottenham predictions, betting tips, lineups and free bets (Premier League - 13.8.2016)"